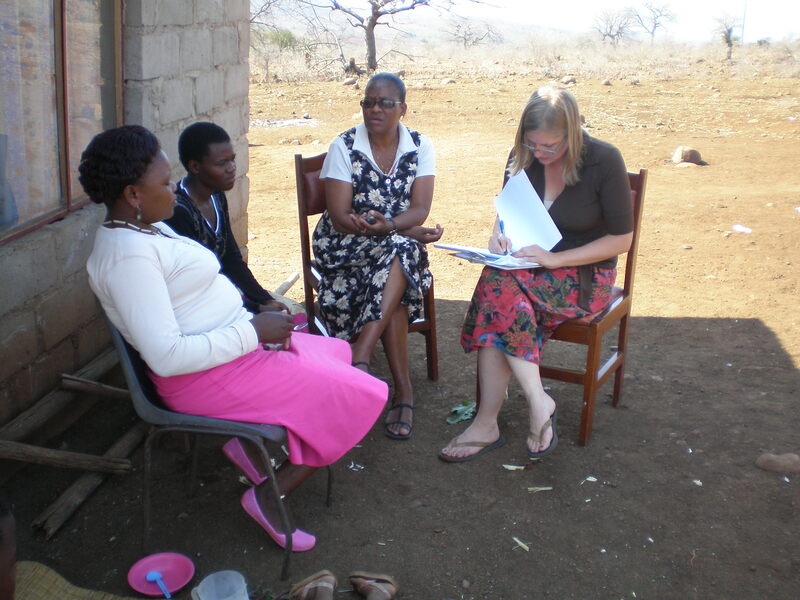 In July and August of 2008, YouthAssets and a team of three Swazi volunteers sat down to talk with 45 youth-headed households about their strengths and the challenges of their situations. The series of interviews stimulated a tremendous amount of positive discussion about potential methods of connecting youth to the resources they need to thrive. A thorough analysis of the data collected from these interviews led to the production of a report entitled “Youth-Headed Households in Swaziland: How Connected Are They?” The report concludes that youth are already using mobile technology as a valuable resource for survival and that it has limitless potential to empower young people in rural areas. A youth-headed household is defined as a household run by a young person aged between 13 and 24 years old. The youth interviewed were the oldest people living at their place of residence, called a homestead, and each was taking care of three siblings, on average. Most of the survey participants did not have a steady form of income, and many relied on relatives for food and other types of material and emotional support. Sixty four percent of the youth interviewed were attending school, the majority of which were male. Despite their unpredictable living situations, 80% of the youth reported that they were happy, revealing the optimistic outlook of the young Swazi population. To contextualize the technological landscape of Swaziland, 4% of the population has access to the Internet, 4% use telephone landlines, 18% has access to a television, and 22% owns a mobile phone. The GSM World Map shows that 90% of the population in the world is covered by a mobile network, making mobile technology a very feasible solution for the near future. Of the youth interviewed for this project, thirteen (29%) had a mobile phone. Overall, these thirteen youth said they liked having a mobile telephone because it opened up a line of communication for obtaining information and/or resources, both material and emotional. One particular case involved a youth named Bongani*, who was given his mobile phone by a community member. Now, instead of walking an hour each day to and from the homestead, the community member can simply call him when there is a job for him to do. Bongani is then paid for his service via an SMS transfer of airtime. The number one reason youth made phone calls was to ask for assistance and the second reason was to check on family members’ situations. In addition to material and emotional support and access to information that the phones provide, 91% of the youth stated that they would feel safer with a mobile phone. 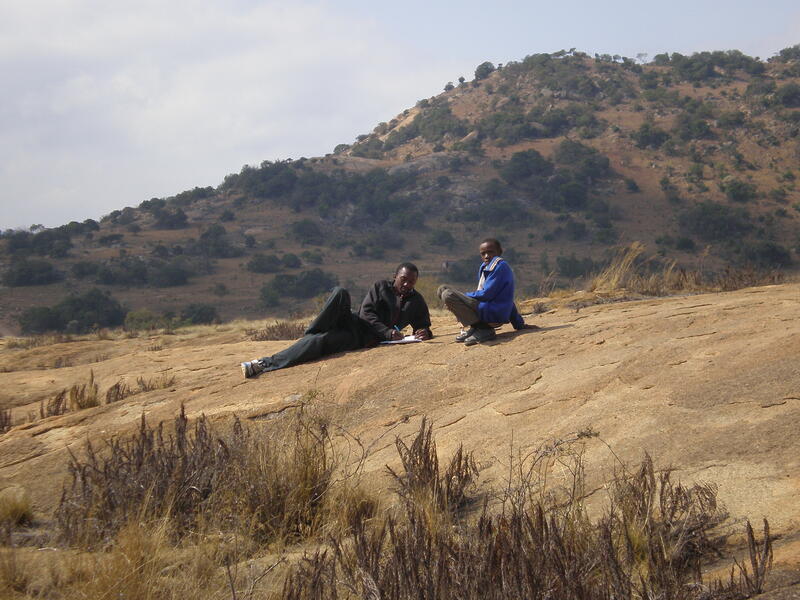 Nonhlanhla*, a young female Swazi, has had her homestead broken into twice. Unable to get her brothers and sisters out of the house in time, she had to face the intruder directly. Her neighbors bought her a mobile phone so that she could “buzz” them to come over in the case of another intrusion. There is certainly a need for mobile technology for obtaining resources for immediate survival, such as food and clothing, but mobile phones have the potential to provide youth with long-term work and educational opportunities that will allow them to maintain a steady income and way of life. In fact, when asked what would make them “very happy”, 24% responded obtaining a job or starting a business and 20% said education. These youth are mature and determined individuals with entrepreneurial spirits, and if provided with minimal but crucial resources, could surely empower themselves and their families. Some of their business ideas included: selling sweets, snacks or biscuits, baking scones to sell at school, buying candles in bulk to sell them for a profit. The possibilities are countless, and the youth are ambitious. Just listen.